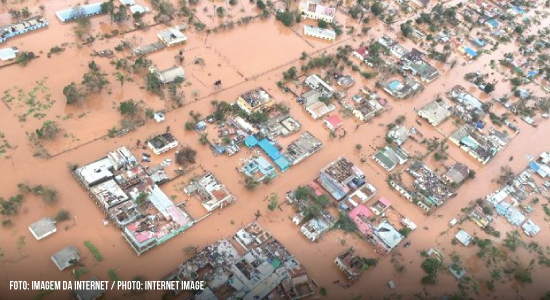 Cyclone Idai in Mozambique, Zimbabwe and Malawi caused at least 1005 deaths and affected 2,9 million people in all three countries, according to United Nations agencies. To prevent a second disaster in Mozambique, the World Health Organization (WHO) sent cholera vaccines and mosquito nets to protect against malaria. The countries also received supplies to treat diarrheal diseases and rapid diagnostic tests. According to the World Food Program (WFP) emergency coordinator Pedro Matos, the situation in Mozambique is something that has never been seen before. Speaking to UN News, he said that neither Mozambique nor any other country in the world is prepared to respond to a tragedy of this dimension. Whoever survived the cyclone will now face new consequences of the disaster. According to the Minister of Land and Environment of Mozambique, Celso Correia, it is inevitable to have cases of cholera and malaria in the country due to the great concentration of water. The director of the Institute of Hygiene and Tropical Medicine (IHMT) of the New University of Lisbon, in Lisbon, Portugal, Paulo Ferrinho, shares the same opinion. He stated that malaria is the major threat to public health in the aftermath of Cyclone Idai’s passage, as well as cholera. Zika, dengue and leptospirosis are other diseases that can also spread to regions with standing water. Filariasis – which already strikes many victims – and cases of diarrhea are also likely to worsen. Médecins Sans Frontières (MSF) teams use all available material and human resources to deal with the effects of this disaster. The international humanitarian organization sent dozens of seasoned professionals to the country, as well as more than 40 tons of medical equipment and supplies. According to information from MSF, the challenge has been to repair health centers damaged by the cyclone, so they can re-operate, while it is not possible to wait to offer assistance amid so many demands for medical care. Therefore, teams are working in mobile clinics, looking for and treating patients with infected cuts, respiratory infections, diarrhea and skin infections. There are real concerns that many of the wells have been contaminated during the cyclone and that people are drinking contaminated water. Dr. Ferrinho also warned that the collapse of the social system may be the biggest tragedy that Mozambicans will have to face. According to him, humanitarian aid, which in this first phase is intended to meet immediate needs for water, food, basic health care and treatment of the most prevalent diseases, will have to evolve later for the reconstruction of the social and health systems. Another portrait of an official Portuguese-speaking country destroyed by one of the worst climate catastrophes in the southern hemisphere is also beginning to appear: In Chimoio, capital of the Mozambican province of Manica, the 25 kg bag of rice, which costed the equivalent to R$ 57 (~15 USD), went up to R$ 82 (~22 USD). A liter of oil that costed R$ 2,70 (~0.70 USD) rose to R$ 4,26 (~1.15). Would abandoning Africa to its fate, stark in the case of Mozambique, Malawi and Zimbabwe, be a sign of the profound inequality behind climate change? Professor Alexandre Costa, from the Ceara State University (BR), thinks it is. In his article “Mozambique and the price paid by the poorest for global warming“, the climate scientist points out that Mozambique is a victim of climate chaos, oil (which some unfortunately still dream of being used to produce wealth fairly), coal and gas. It is a victim of profound inequality associated with climate change. “We do not need ‘humanitarian aid’, but the payment of climate debt, which must be paid by the poor, the rich countries and, above all, the fossil corporations and the banks that finance them”, he says. With winds reaching 220 km per hour, Cyclone Idai hit the heart of Mozambique on the night of Thursday, March 14. The news spread to the rest of the world as the population resisted as possible in the affected areas. The true dimension of the tragedy only just begun to be known a few days after the tragedy and recovery could take years. Metal sheets flew and beheaded people. Survivors clung desperately to rooftops and trees in flooded areas, waiting for help and rescue. A report presented on the show Fantástico (Globo Networks, Brazil) on March 24 showed some amazing scenes and talked to Brazilians who helped. Watch here. International humanitarian aid initiatives have cooperated to deliver food, medicines, drinking water and materials allowing to house those directly affected. The UN coordinates emergency responses such as that caused by Cyclone Idai through the Office for the Coordination of Humanitarian Affairs (OCHA). Donations can be made by clicking here. The World Food Program (WFP) is one of the UN agencies leading the emergency response in the region. To donate, click here. The United Nations Children’s Fund (UNICEF) has opened a direct channel for donations. Click here. The UN Refugee Agency (UNHCR) is working in the region. For donations click here. The Support Center, created by entities in Mozambique, also accepts donations. For more information, click here. The World Mission Board, linked to the Brazilian Baptist Convention, accepts donations. Learn more by clicking here. Médecins Sans Frontières (MSF), which cares for the health of the population in situations of humanitarian crisis, receives donations. More information click here. The international ActionAid entity takes supplies to survivors of the disaster. Information on how to donate, click here. 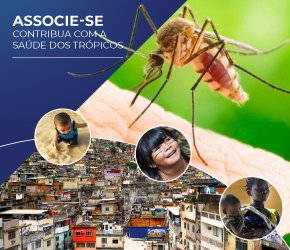 The Brazilian Society of Tropical Medicine (SBMT) joins in solidarity to the African brothers in the face of this catastrophe. “We recognize the historical debt the world has to this continent, which has had its people socially and economically subjugated and its wealth extracted by colonialism during and after the slavery period. We recognize that in order to minimize the effects of tragedies like this, precisely in places as lacking resources such as Africa, the tropical scientific community plays a key role. In this scenario of extreme poverty, social inequality, the socioeconomic vulnerability of tropical countries becomes even more explicit, while climate change is taking its toll; its consequences already affect food and water supplies and will further contribute to the spread of infectious diseases. It is mandatory to point out that, here in the tropics, poverty appears as one of the fundamental determinants of disease onset and spread. “It’s time to hold hands” says Professor Carlos Henrique Costa, former president of SBMT and a doctor of Tropical Public Health, from Harvard University. 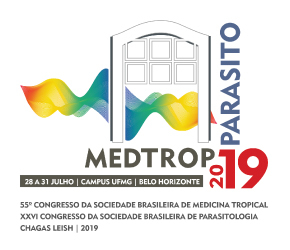 Prof. Carlos Costa recalls that regular SBMT events with the Community of Portuguese Speaking Countries (CPLP) have discussed tropical diseases in the context of these countries and understands that this contribution extends the role of Tropical Medicine to the peoples of the Tropics. In fact, the SBMT, in partnership with IHMT, has already organized five versions of the Tropical Medicine Meeting of the Portuguese Speaking Countries (2005-2010), with the presence of doctors and scientists from Mozambique, under the decisive organization of the Professor Virgílio do Rosário, former director of the IHMT.